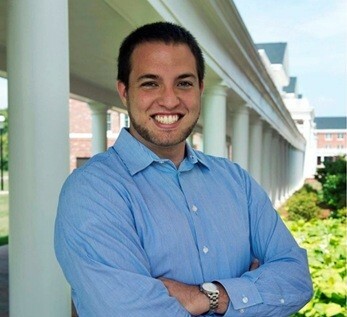 David Campbell graduated in 2013 with degrees in accounting and finance. He now works at EY as a senior risk advisory consultant. Current job: Senior Risk Advisory Consultant at Ernst & Young in Charlotte, N.C.
Main job responsibilities: In my role, I work with and lead teams that help our clients to identify opportunities to increase the efficiency and effectiveness of business processes while decreasing their exposure to internal process risks. My main responsibilities include performing and managing process/control owner interviews, documenting walkthroughs and narratives, creating flowcharts, testing controls, identifying risks and control gaps, and recommending ways to address said risks and control gaps. I’ve also worked in various areas of the company with our audit teams and procurement process improvement teams. Change. Throughout my almost three years at EY I have been on a variety of projects, in different states, with different teams. I’ve had the opportunity to work with individuals from all over the nation on internal audits, cybersecurity projects and Sarbanes Oxley readiness assessments. Since graduation I’ve worked on almost 20 clients in a wide range of sectors and industries which has allowed me to gain a broad background in various business processes. I’m the type of person who thrives on change and new situations so it’s a good fit for me. I rarely have done the same project more than once in the same industry which will help me decide how to narrow down my area of focus as my career progresses. Life has been busy. Before I started with EY in September 2013, I spent the summer studying for my CPA certification at Elon with Becker FastPass and then passed the exam that fall after officially moving to Charlotte. Once work started I began traveling about 40% of the time with EY. During fall 2014, I married my wife, Rachel, a 2013 Communications Fellow. The following spring, we adopted a puppy and in fall of 2015 we bought our first house together. Thanks to the travel bug we caught because of study abroad at Elon, we have created a “bucket list” of places we want to visit and recently returned from a vacation to Tokyo, Japan. I also spend a significant amount of time volunteering and serve as the District Activities Chairman for the Apache District of the Boy Scouts of America. Lastly, I serve on the board of the Charlotte alumni chapter for Elon as well as Elon’s Young Alumni Council. How did the Love School of Business prepare you for your career? There are a number of ways the Love School of Business helped prepare me for my career. Through the Business Fellows program, Beta Alpha Psi and Love School of Business guest speakers, I was presented opportunities to meet with individuals from various firms in and outside my desired career area. My internship with Ferrell Capital and EY both came about due to speakers on campus. I also valued the faculty relationships I gained while a student (and now even as an alumnus) with the LSB. Their real world experience and networks are critical to student success. Finally, experiential learning at Elon and specifically in the LSB served a pivotal role in giving me real world experience that I could parlay into tasks assigned to me during internships and my first job. How did Elon’s liberal arts curriculum help strengthen your understanding of your business major and your overall educational experience? Elon’s liberal arts curriculum helped to shape my business majors by allowing me to gain a depth and awareness of business ideas from other perspectives. For example, during my first few years as an undergraduate, we would talk about The Great Recession in my business classes as well as my core liberal arts classes because that was a critical current event that was shaping the world and was relevant in the majority of classes. Overall, I greatly valued my other education experiences as well that were wholly unrelated to business such as my Intro to Digital Art class and my Human Anatomy course, which included the cadaver lab. What did you enjoy most about being a Love School of Business student? My favorite part of about the LSB was the sense of community. I had a very strong, tight knit group with the Business Fellows. I also had many friends, mentors and advisors throughout various areas of the business school. The faculty are amazing and really want you to succeed. They are there for you every step of the way. I wouldn’t be where I am without their guidance. I also think the quality of the students in the LSB makes you raise your game and really try to be the best that you can be, without there being an atmosphere of cutthroat competitiveness. What advice do you have for current Love School of Business students? My best advice for current students is twofold, be active and take advantage of all Elon and the LSB has to offer. While, yes, a student can be successful by merely taking classes, there are a multitude of organizations and activities that can enrich your Elon experience. Whether it’s the variety of speakers the LSB brings onto campus, the career building opportunities presented by the Porter Family Professional Development Center or simply talking with various students, faculty or professors within the LSB; use your time at Elon efficiently. Also learn Excel inside and out. Also learn to network, you’ll be at a huge advantage compared to your peers. Finally, after you get over the shock of graduating, get involved as an alum! There are plenty of alumni chapters across the nation filled with successful Elon alumni who want to help you succeed. The Elon family stretches past the campus borders. Merrill Lynch Branch Office, Rehoboth Beach, Del. Ferrell Capital Management, Greenwich, Conn.
Ernst & Young, Charlotte, N.C.